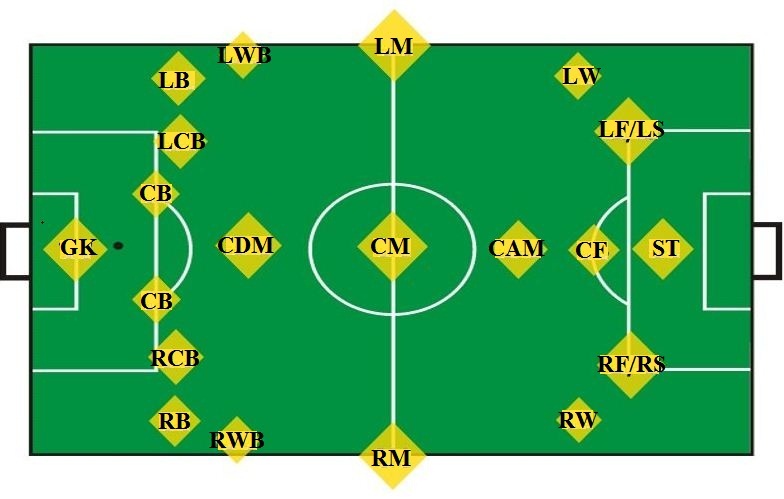 If you are a passionate FIFA football fans, then you probably know all the Football Terms / Short Form or Abbreviations for the Positions on the field and know what they mean. However, in FIFA 17 or FIFA 18 there are many more acronyms than that which you probably don’t know. They don’t appear all in the game, and some only in isolated modes. 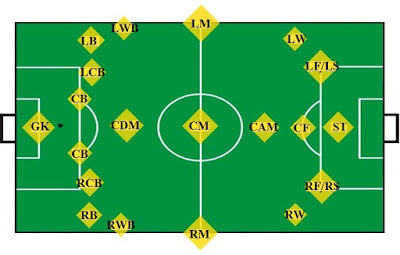 In our guide we want to list an overview of all the soccer terms of the different positions as CDM, RWB / LWB and their significance. Each player in the football field has an optimal position to play. His attributes fit to it. If you place a player in a different position, you can suffer considerable disadvantages. This mainly concern chemistry in the team. It drops when some players don’t play in the given position. In addition, you risk losing because the attributes are no longer appropriate.